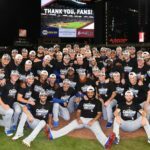 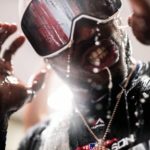 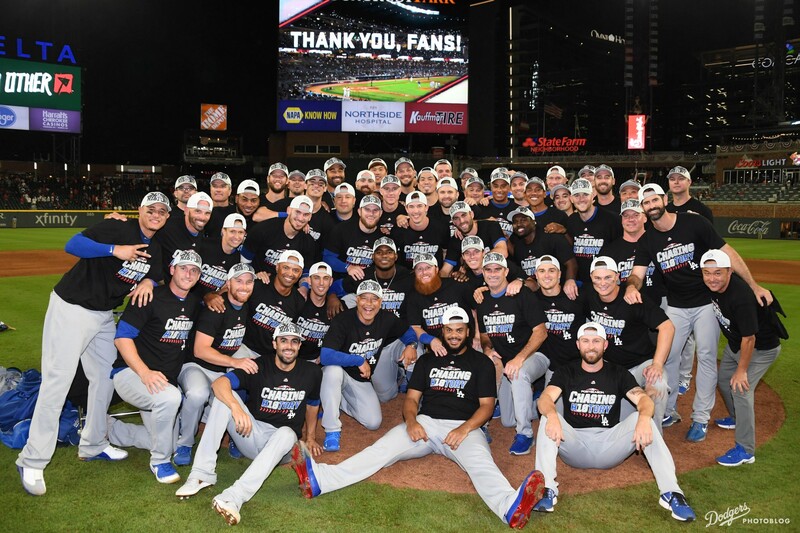 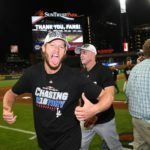 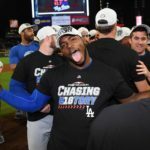 In the celebration posts for making the playoffs and then winning the division, it became abundantly clear that while the Dodgers would be having their share fun, they definitely had their sights set much higher. 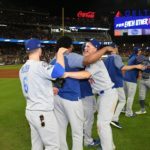 And following Kenley Jansen securing the NLDS victory over the Braves, the Dodgers predictably didn’t have much of a reaction on the field. 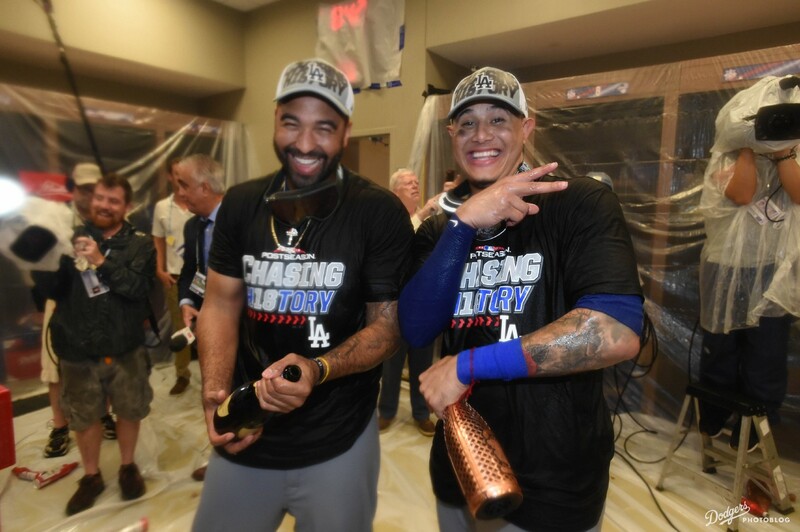 Even when they got down in the clubhouse and popped bottles (as literally every other team does), Dave Roberts made it clear that the goal was eight more wins. 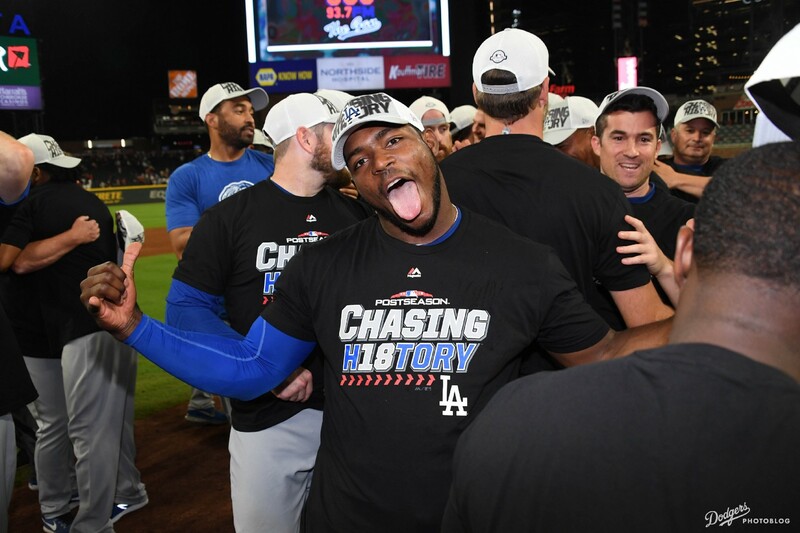 Yasiel Puig was all about that. 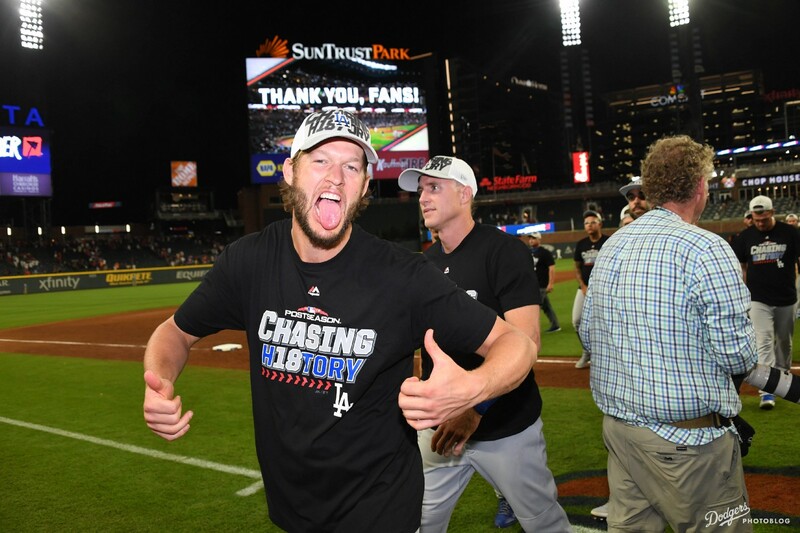 He is, unsurprisingly, quite confident in his team. 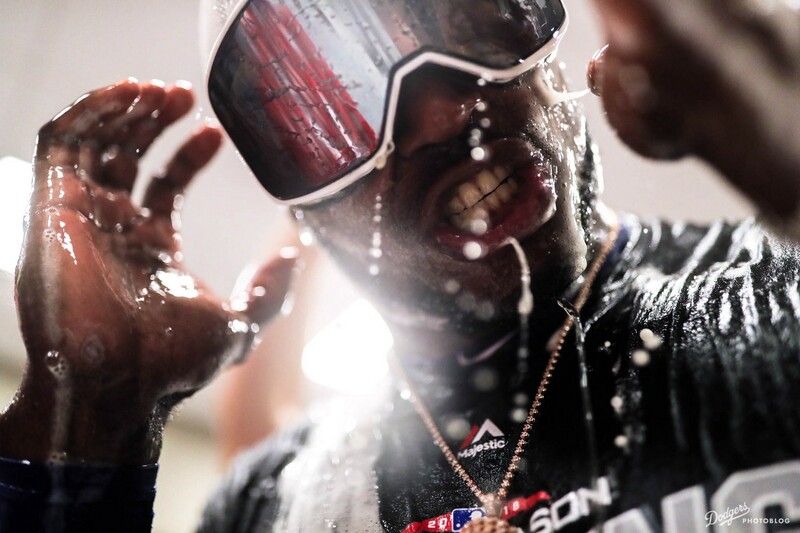 Manny Machado was getting absolutely doused. 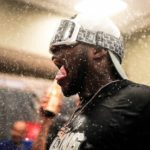 Yasiel Puig also hit him with the trash can. 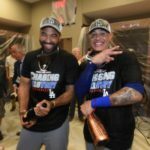 But nothing quite beat Kenley Jansen almost drowning Rich Hill. 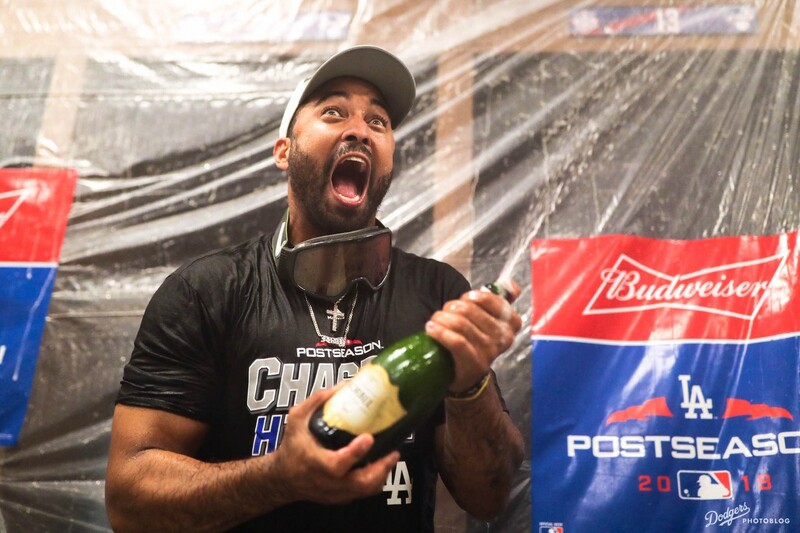 Though is it better than Matt Kemp screaming while doing the same to the social media coordinator of the Dodgers? 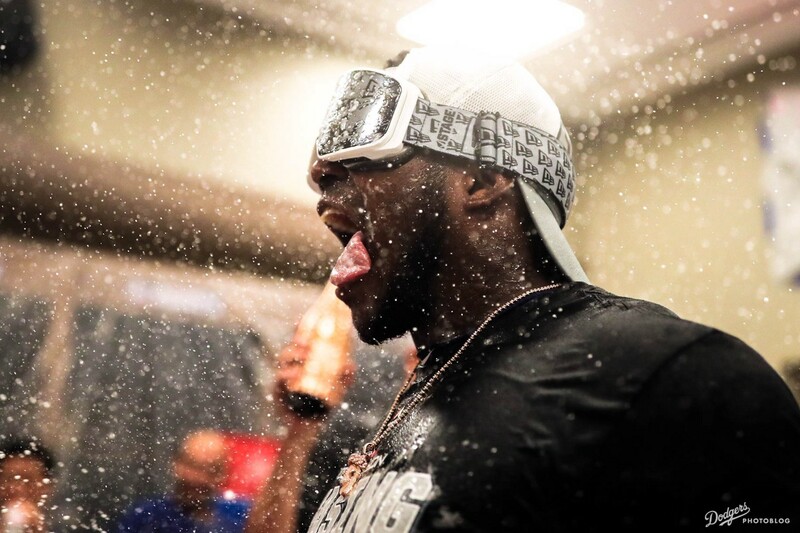 David Vassegh gets got by Yasiel Puig and Matt Kemp … even down his pants. 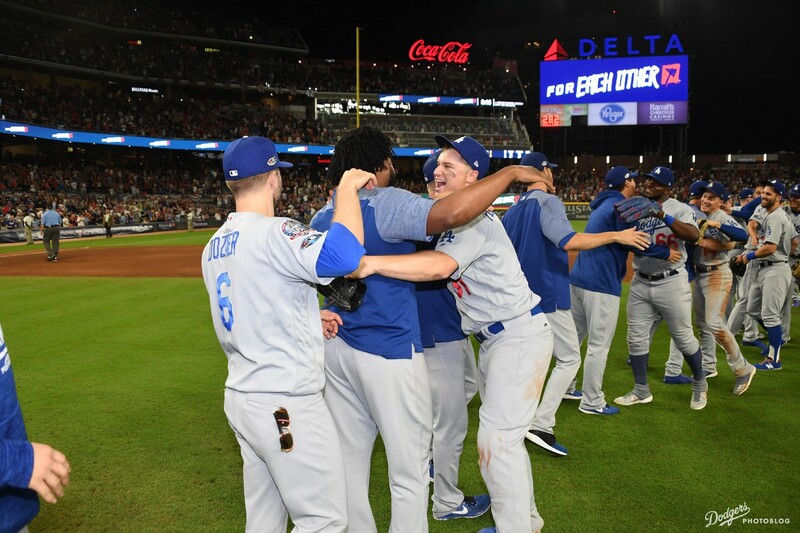 Scott Alexander and Ross Stripling trying to dance is arguably the most important thing to come of this. 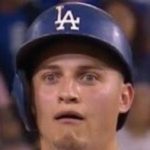 Enrique Hernandez‘s facial expressions have incredible range. 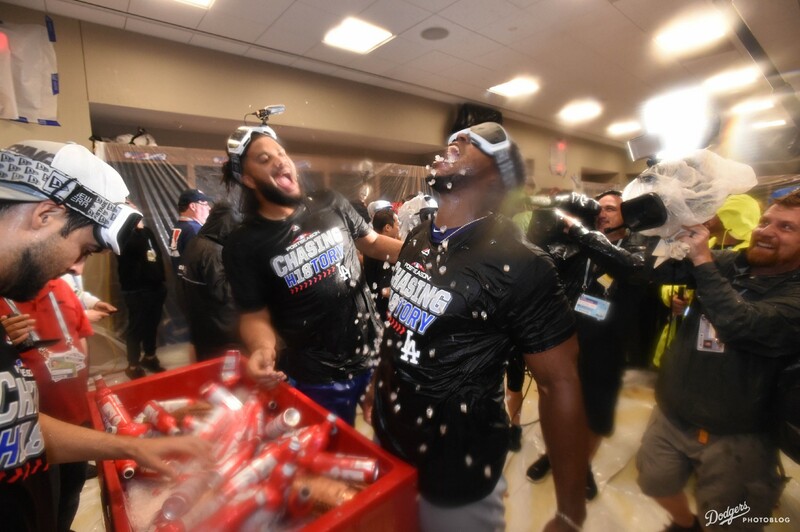 Walker Buehler broke out the champagne-spraying analytics. 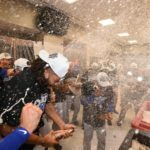 In the background of one clubhouse recording tonight, I can hear Walker Buehler excitedly commenting on his improving champagne-spraying technique. 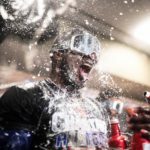 "That is the best spray of my career," he declared. 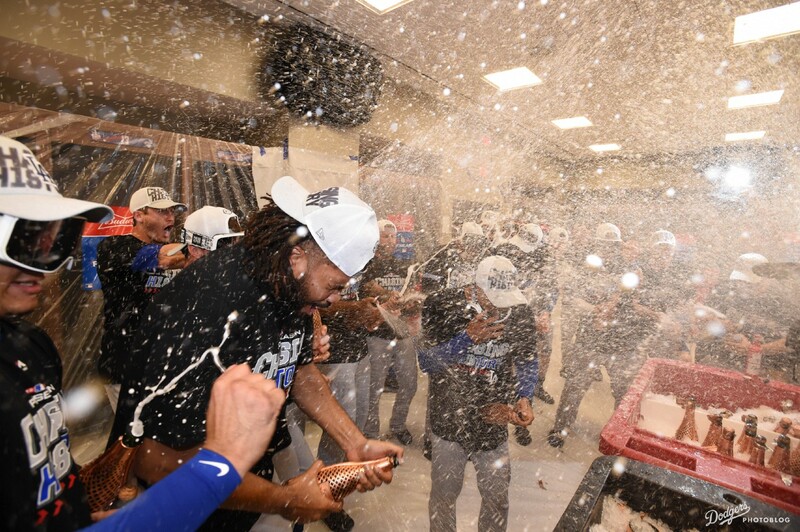 "Good spread. 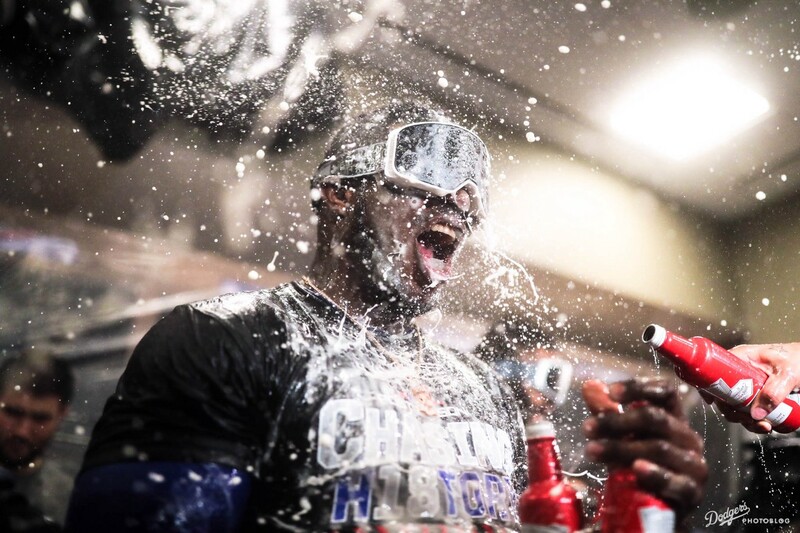 Some velo."